A modified, shortened version of Celtic Coastal, now up Ash Hill through Gwithian, Hayle and Towednack, returning on quiet roads via Nancledra, Long Rock, St. Erth, and Hayle Towans. 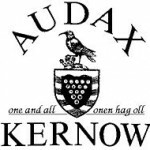 This entry was posted in Audax Local Calendared, Connor Downs 2016, Events, News and tagged Celtic Canter. Bookmark the permalink.